Samsung Galaxy would expand its range Galaxy Alpha with a new model, the Galaxy A5. Samsung has recently launched a new range, named Alpha Galaxy, which is characterized by an over worked with natural materials aesthetics. A first model was introduced. It comprises an HD Super AMOLED screen 4.7 inches, an eight-core processor, RAM 2 GB, a storage space of 32 GB and a rear camera sensor 12 megapixels. Samsung is preparing to expand this range with a new smartphone. Chinese sites have just evoke a smartphone named SM-A500 and revealing photos. 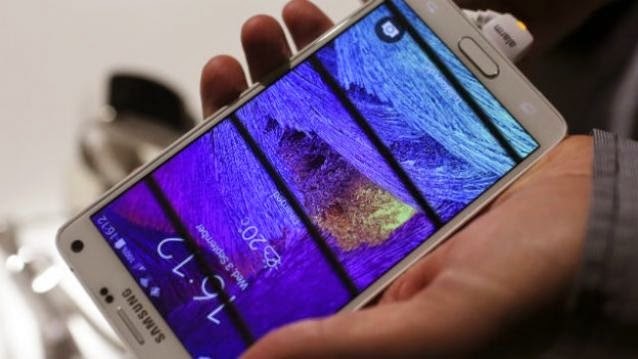 It could be a new version of the Samsung Galaxy Alpha. It is equipped with a 5-inch screen resolution of 1280 x 720 pixels. Also, it could be composed of a quad-core processor clocked at 1.2 GHz, RAM 2GB and storage space of 16 GB expandable via microSD. Android 4.4 KitKat, it would consist of a rear camera sensor is 13 megapixels and supports 4G. This model could be a variation of the Galaxy Alpha. It seems also composed of metallic materials. It would be heavier, that is 126 grams against 114.3 grams for Galaxy Alpha, but it would keep the same thickness of 6.7 mm. Samsung will soon introduce or confirm this model. After being criticized for favoring the plastic, the Galaxy Alpha range could attract new consumers.